See enough scary movies and you start to anticipate when to cover your eyes. Any scene set in a dimly lit basement is a given. A knock at the door is a harbinger of doom. Time it exactly right and you can be just a staid outsider to the horrors unfolding onscreen. 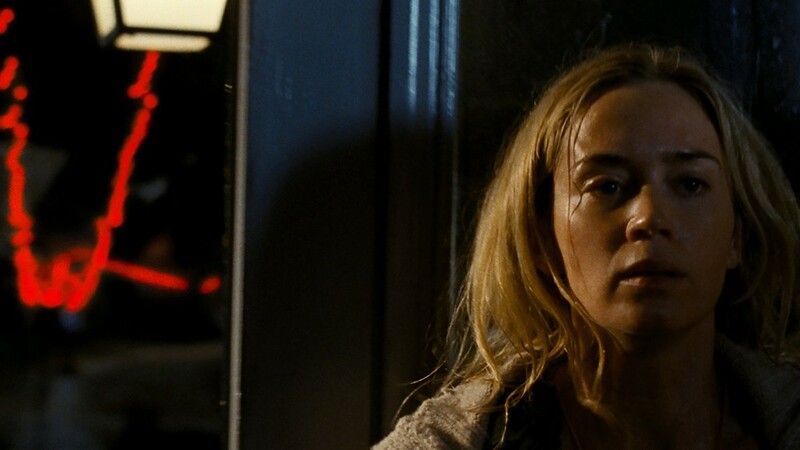 What makes A Quiet Place such a terrifying entry in the genre is that you need to know when to cover your ears. The jolts are unpredictable and, er, disquieting. You’re an active participant in the film, and there’s no escape until the credits roll. The backstory is non-existent. Some time ago, slimy creatures invaded Earth. These Alien-looking aliens are blind but have excellent hearing and will kill at the literal drop of a hat. Music, talking, a knocked-over lantern, a creaky floorboard — and, as evidenced in an early scene, the sound of a blaring toy rocket — will unleash pure evil. Using claws and daggers for teeth, these beasts will instantly emerge, dismember the target making the noise, eat them alive, and then exit scene. Per an old newspaper clipping on a wall, these monsters have already killed hundreds of thousands of people all around the world. I’m assuming it’s an old clip, anyway; a newspaper printing press is one of the most satisfying loud noises in life. Enough about the world. 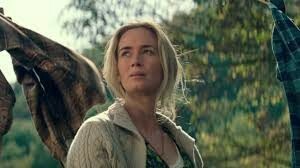 A Quiet Place is the intimate tale of two loving parents that go to extremes to protect their kids in this hell. John Kraskinski, who directed and co-wrote the film, is the father. Emily Blunt, his real-life wife, is the mother. They have two children (the magnificent Millicent Simmonds and Noah Jupe), young enough to be fearful of the danger and old enough to be on the verge of parental rebellion. Also, Blunt is very pregnant and even the gentlest home birth can be agonizing so consider yourselves warned. The nameless family communicate via sign language — Simmonds is hearing-impaired IRL — and walk around their rural home in bare feet. In one scene, Blunt schools her son in long-division math using soft whispers. A Quiet Place’s central conceit leads to a fully immersive experience. Dialogue is minimal, and stillness is punctuated by loud bangs in the night. Without the volume nodule perpetually turned to 11, I heard my own heart racing while watching this family make concerted efforts to survive. I silently cheered every time Blunt walked out of a room with her life intact. The small details play a crucial role, and Krasinski does a fantastic job evoking heart-racing tension from mundane obstacles. What’s more horrifying than a grotesque alien loitering inches from Blunt’s anguished face? The sight of a rusty nail jutting out from a step, just waiting to be stepped on. Krasinski and Blunt’s pairing is flat-out inspired. Blunt acts her guts out, diving into the near word-less performance with aplomb. She is the heart and the soul here and even manages to deliver a dash of humor during said-mentioned tutoring session. Her husband also gives her the most challenging and harrowing action sequence in the film. Krasinski is now such a brooding, full-shouldered force that I couldn’t detect a trace of Jim Halpert in his eyes. I’m going to need further proof this is the same actor that played the lanky practical joker on The Office for all those years. The couple’s moments together are crushingly romantic. I hope I haven’t scared off all the cinematic fraidy-cats. Sure, I bragged on Twitter about making it through the screening without having a stroke or my mommy; but A Quiet Place begs for the communal movie-going outing. Rare is the straight-up horror movie in which nobody on screen does the screeching and everybody does the high-level thinking. Even the closing scene is pitch-perfect. Give it a go. Then let out a good old-fashioned primal scream.